Sencha Ichiban Oishi (Japan) - 3 oz. Character: A distinctive fresh, light, green taste without being overly grassy. This became an instant favorite with us. It has a distinctive fresh, light, green taste without being overly grassy. We've found it very difficult to prepare a poor tasting cup of our newest and finest sencha. 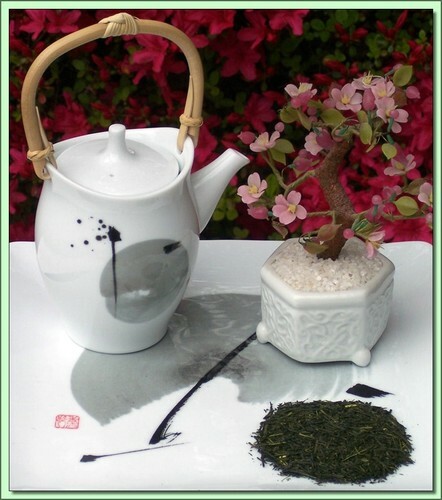 Its a rare sencha picked in limited quantities from two type of Kanaya Midori bushes and is said to have superior flavor, taste, color and aroma. An early-April, first crop sencha harvested from leaves in the Kagoshima and Shizuoka regions. The growing climate produces a deep rich aroma and taste and a bright green tea color. The first crop of the four annual harvests is considered best when tea leaves are younger and softer. Produced under ISO 14001 Certified Environmental Management Standards. Infusion: Tending light liquoring, smooth with depth and body. Hot Tea: This tea is best enjoyed by pouring 176F/80C water over the leaves (2 teaspoons per cup) for 40 seconds (longer=stronger). Don't remove the leaves. Can be infused repeatedly 2-3 times using higher temperatures & shorter infusions until flavor is exhausted.